We are back on the podcast and coming to you with a week long Podcast blitz dedicated to discussing some of the biggest questions, challenges and obstacles that are coming from our RentalRookie Community. As we start to near the end of 2017, it's a time to push forward with trying to reach those goals we set back in the beginning of the year. And if life has gotten in the way, as with many of us, we are here to help get you back on track. While this is a fear that everyone faces, it can easily be overcome with educating yourself on the market and on how to accurately analyze rental properties. The cool thing about investing in rental property, is that you should know, when you buy, whether a property will make you money and have a pretty good idea what amount that property will make you each month. You're not throwing money into a stock hoping that it will go one way or the other. You can predict with real numbers and past information what the property can make you. 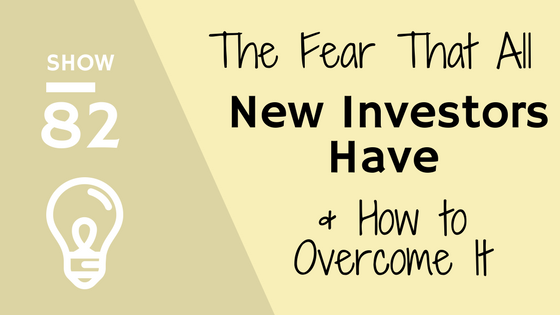 So tune in and we'll share with you how to overcome this fear so that you can start making money with rentals.